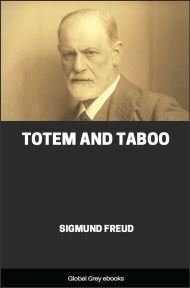 This classic work is essential reading for any serious student of psychology. 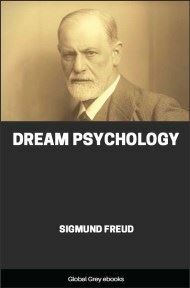 Dr. Freud covers the hidden meanings within our dreams, especially repressed sexual desires, the purpose of our conscious and unconscious minds, and the importance of dreams to our wellbeing. In what we may term "prescientific days" people were in no uncertainty about the interpretation of dreams. When they were recalled after awakening they were regarded as either the friendly or hostile manifestation of some higher powers, demoniacal and Divine. With the rise of scientific thought the whole of this expressive mythology was transferred to psychology; to-day there is but a small minority among educated persons who doubt that the dream is the dreamer's own psychical act. But since the downfall of the mythological hypothesis an interpretation of the dream has been wanting. The conditions of its origin; its relationship to our psychical life when we are awake; its independence of disturbances which, during the state of sleep, seem to compel notice; its many peculiarities repugnant to our waking thought; the incongruence between its images and the feelings they engender; then the dream's evanescence, the way in which, on awakening, our thoughts thrust it aside as something bizarre, and our reminiscences mutilating or rejecting it—all these and many other problems have for many hundred years demanded answers which up till now could never have been satisfactory. Before all there is the question as to the meaning of the dream, a question which is in itself double-sided. There is, firstly, the psychical significance of the dream, its position with regard to the psychical processes, as to a possible biological function; secondly, has the dream a meaning—can sense be made of each single dream as of other mental syntheses? Three tendencies can be observed in the estimation of dreams. Many philosophers have given currency to one of these tendencies, one which at the same time preserves something of the dream's former over-valuation. The foundation of dream life is for them a peculiar state of psychical activity, which they even celebrate as elevation to some higher state. Schubert, for instance, claims: "The dream is the liberation of the spirit from the pressure of external nature, a detachment of the soul from the fetters of matter." Not all go so far as this, but many maintain that dreams have their origin in real spiritual excitations, and are the outward manifestations of spiritual powers whose free movements have been hampered during the day ("Dream Phantasies," Scherner, Volkelt). A large number of observers acknowledge that dream life is capable of extraordinary achievements—at any rate, in certain fields ("Memory"). In striking contradiction with this the majority of medical writers hardly admit that the dream is a psychical phenomenon at all. According to them dreams are provoked and initiated exclusively by stimuli proceeding from the senses or the body, which either reach the sleeper from without or are accidental disturbances of his internal organs. The dream has no greater claim to meaning and importance than the sound called forth by the ten fingers of a person quite unacquainted with music running his fingers over the keys of an instrument. The dream is to be regarded, says Binz, "as a physical process always useless, frequently morbid." All the peculiarities of dream life are explicable as the incoherent effort, due to some physiological stimulus, of certain organs, or of the cortical elements of a brain otherwise asleep. But slightly affected by scientific opinion and untroubled as to the origin of dreams, the popular view holds firmly to the belief that dreams really have got a meaning, in some way they do foretell the future, whilst the meaning can be unravelled in some way or other from its oft bizarre and enigmatical content. The reading of dreams consists in replacing the events of the dream, so far as remembered, by other events. This is done either scene by scene, according to some rigid key, or the dream as a whole is replaced by something else of which it was a symbol. Serious-minded persons laugh at these efforts—"Dreams are but sea-foam!" One day I discovered to my amazement that the popular view grounded in superstition, and not the medical one, comes nearer to the truth about dreams. 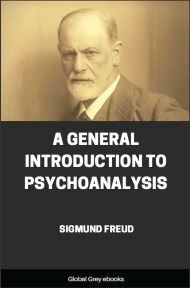 I arrived at new conclusions about dreams by the use of a new method of psychological investigation, one which had rendered me good service in the investigation of phobias, obsessions, illusions, and the like, and which, under the name "psycho-analysis," had found acceptance by a whole school of investigators. The manifold analogies of dream life with the most diverse conditions of psychical disease in the waking state have been rightly insisted upon by a number of medical observers. It seemed, therefore, a priori, hopeful to apply to the interpretation of dreams methods of investigation which had been tested in psychopathological processes. Obsessions and those peculiar sensations of haunting dread remain as strange to normal consciousness as do dreams to our waking consciousness; their origin is as unknown to consciousness as is that of dreams. It was practical ends that impelled us, in these diseases, to fathom their origin and formation. 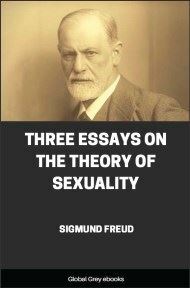 Experience had shown us that a cure and a consequent mastery of the obsessing ideas did result when once those thoughts, the connecting links between the morbid ideas and the rest of the psychical content, were revealed which were heretofore veiled from consciousness. The procedure I employed for the interpretation of dreams thus arose from psychotherapy. This procedure is readily described, although its practice demands instruction and experience. Suppose the patient is suffering from intense morbid dread. He is requested to direct his attention to the idea in question, without, however, as he has so frequently done, meditating upon it. Every impression about it, without any exception, which occurs to him should be imparted to the doctor. The statement which will be perhaps then made, that he cannot concentrate his attention upon anything at all, is to be countered by assuring him most positively that such a blank state of mind is utterly impossible. As a matter of fact, a great number of impressions will soon occur, with which others will associate themselves. These will be invariably accompanied by the expression of the observer's opinion that they have no meaning or are unimportant.